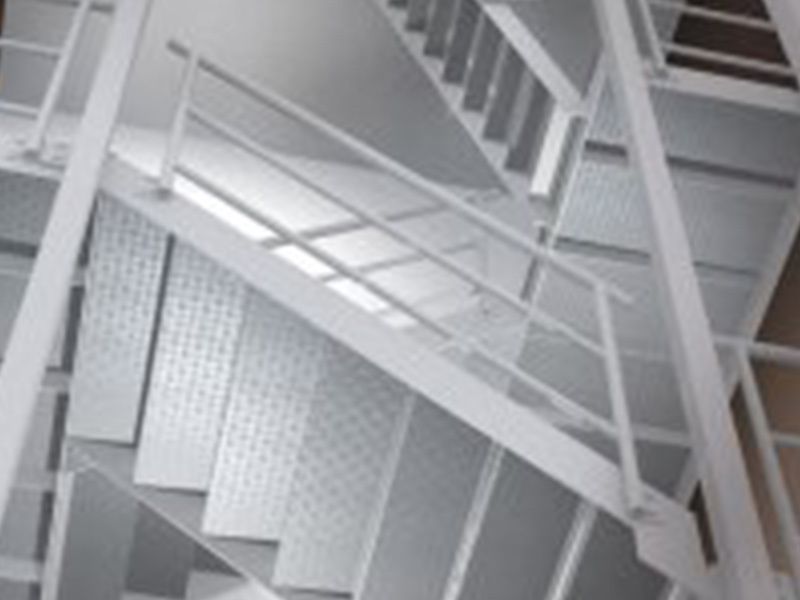 Dunsteel Steel Fire Stairs, are a unique, completely prefabricated stairway that can be very quickly installed level by level in the shaft of multi-storey buildings. Your trades people can access the deck within 2 hours of delivery and installation. Simple, fast and efficient stairway installation. Each project is custom designed. We prepare detailed workshop drawings of the complete stairway. Gain access to the deck in just 2 hours. Our plans are reviewed, updated and signed off by the builder. Steel Fire Stairs are prefabricated and assembled in the Dunsteel workshop.